2018 Chinese drama Tang Dynasty Tour. Zhang Ziyi in the Chinese film “House of Flying Daggers”. Chinese Long Sleeve Dance by Zhang Ziyi in movie, House of Flying Daggers. Zhang Ziyi’s dance is really beautiful and worth to watch, it has a poetic name called 仙人指路 which means Taoist immortal directs the way. You will see why it has this name after you watch the dance. Zhang played the part of a blind dancing girl in upscale brothel. The director is Zhang Yimou so that’s a guarantee for aesthetics in the movie. Notes: The long flowing silk inner sleeve merit is one of Chinese Peking opera stunts. Its postures are too numerous to cite individually. For example: throw the sleeve, wield the sleeve, flick the sleeve, raise the sleeve, swing the sleeve, fling the sleeve, the back sleeve, the pendulum sleeve, brush off the sleeve, fold the sleeve, build the sleeve, circle the sleeve, pull up the sleeve, the booklet sleeve, select the sleeve, turn the sleeve and so on. 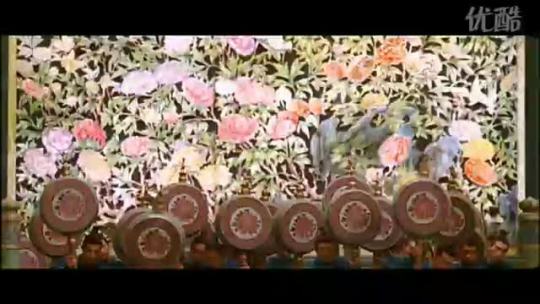 Zhang Ziyi’s dance added Wuxia factors which made the dance more powerful. BTW I found the translation “House of flying daggers” funny because its Chinese name has nothing to do with such house, it just means ambush on all sides. Maybe I should be the translator,lol.